When you’re looking for heating, air conditioning, plumbing, or oil delivery service in the Staten Island area, you can turn to a large and impersonal contractor—or you can turn to a company that’s been helping out the community through three generations! 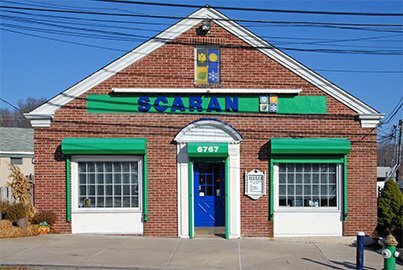 Scaran was founded in 1930, and we’ve grown thanks to our superior services to homes and businesses when it comes to comfort, efficiency, and peace of mind. We employ knowledgeable people with the finest training in order to offer only the top level in plumbing and HVAC services. And we never cut corners: we do things the right way or we don’t do them at all. It’s in our DNA to always do the best job and work hard, which is why we offer an exclusive 100% satisfaction guarantee. 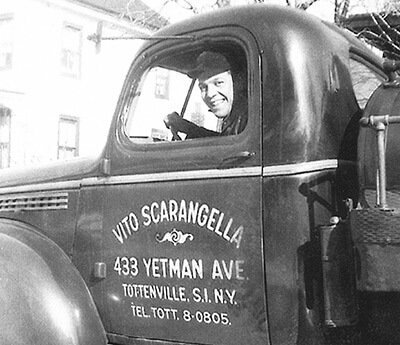 Contact us to see why we’ve been serving Staten Island and its neighbors for almost 90 years. When the heat and the humidity rise during a Staten Island summer, you don’t want to be caught without a powerful air conditioning system to keep your family or business cooled down. Our technicians are NATE and EPA-certified to see you have AC repairs, installations, replacements, and maintenance services done right the first time. We started out delivering coal to homes to keep their furnaces working through the winters. Many decades later, we may not deliver coal, but we still deliver heating services that make it easy to coast it through the cold months in comfort. Contact us for new heating system installation, emergency repairs, regular maintenance, and more. The air inside a building can often be 3 to 4 times more polluted than the air outside—something that often surprises people. But you can do something about this problem for your home or business by calling on the certified experts at Scaran. We offer a range of ductwork and indoor air quality services to help. No home can go without working plumbing! And we have the plumbers to see that your plumbing system is in great shape no matter what. From putting in new pipes, to sealing leaks, to installing sump pumps and much more, you can always count on our expert plumbing team. Our specialty is everything! No matter the season of the year, a home must have hot running water on demand. And that means having an effective water heater to do the job. You can depend on our water heating professionals whenever you require water heating services, from new installations to emergency repairs done fast and right. When the coal market started to vanish in the 1940s, our company switched to oil delivery—and it’s a job we’re still proud to do. We’re one of the leaders in the local heating oil market. Since 1987, we’ve been offering heating oil customer price protection, helping defend our customers from fluctuations in oil prices. And our automatic delivery system guarantees we’ll never let you run out of oil. You can save money on natural gas when you buy from an ESCO (Energy Service Company) such as ours. When you make the switch to an ESCO, you’ll purchase your supply direct from us. Why would you want to make this change? Because our suppliers are always shopping the natural gas market so they can get you the lowest prices possible.